The DeWalt DWA4CASE130HDC is a value filled drill and screw driving set that features many of the most commonly used drill and screw driving bits. The drill bits in this kit are DeWalt premium Gold Ferrous bits for use in most materials. Gold Ferrous drill bits over a Pilot Point tip that precvents walking on the material. DEWALT MaxFit Screw driving bits are the perfect way to maximize your DEWALT power tool system. Featuring the 10X Magnetic Screw Lock System the maximum fit bits are ideal for use in impact drivers and drill/drivers. Each bit features a precision-machined tip for ideal fit in screw head recesses, resulting in less stripped screws. The Magnetic Screw Lock System holders and sleeve feature a floating ring magnet for fastener retention. 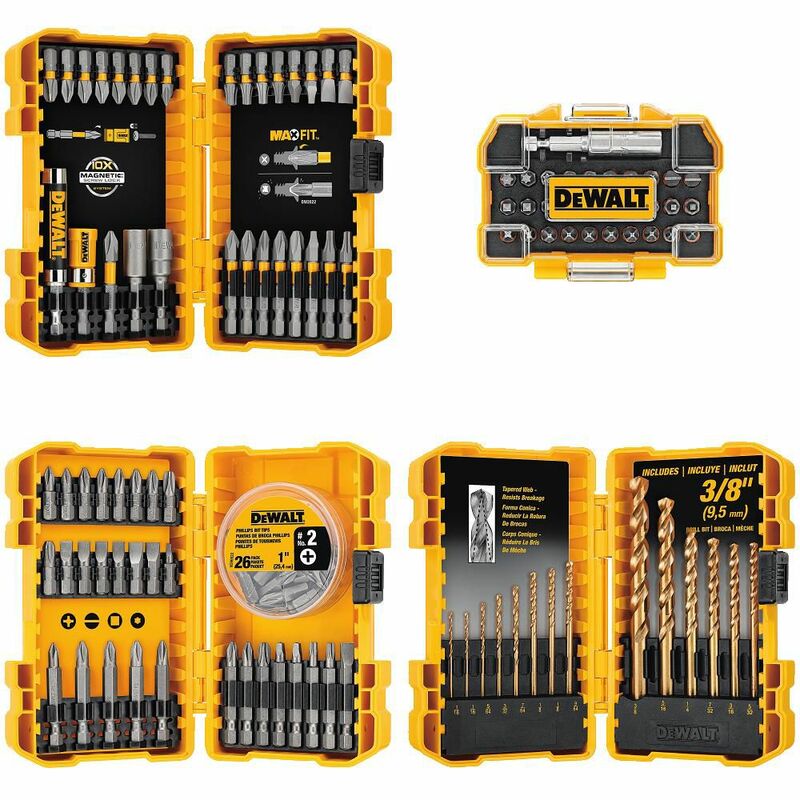 130-Piece Drill/Drive Set The DeWalt DWA4CASE130HDC is a value filled drill and screw driving set that features many of the most commonly used drill and screw driving bits. The drill bits in this kit are DeWalt premium Gold Ferrous bits for use in most materials. 130-Piece Drill/Drive Set is rated 5.0 out of 5 by 2. Rated 5 out of 5 by KevLam from Awesome stuff Has almost everything that you need for a drill/driver set.